Jobs: "Java’s not worth building in. 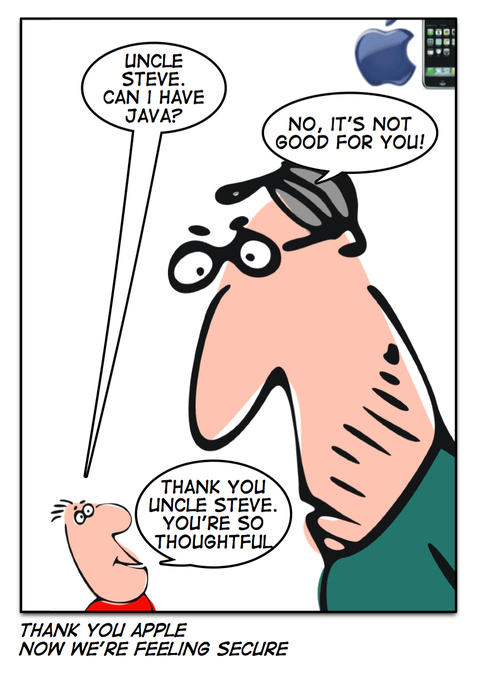 Nobody uses Java anymore. It’s this big heavyweight ball and chain." I'm so glad Apple is worried about us.